Patrick stands in front of boxes of food prepared for our partner agencies at our Durham branch. Patrick’s favorite part of his job is traveling round the Durham region, meeting new people, and learning about the needs of their community. Recently he worked with an elementary school located on the west side of Durham County, an area with a high rate of food insecurity and not a lot of resources available. He helped the PTA start a school pantry to provide food to the children and their families at the school. But they didn’t want to stop there. Recognizing the great need in their whole community, the PTA worked with Patrick to organize a mobile food pantry at the school once a month that was open to the entire surrounding area. This past December, one of our trucks delivered eight pallets of food to the school including fresh produce, prepared meals such as cold salads, and canned goods. In one day, more than 1,200 people in the local community were able to receive fresh food thanks to the school’s new mobile food pantry. 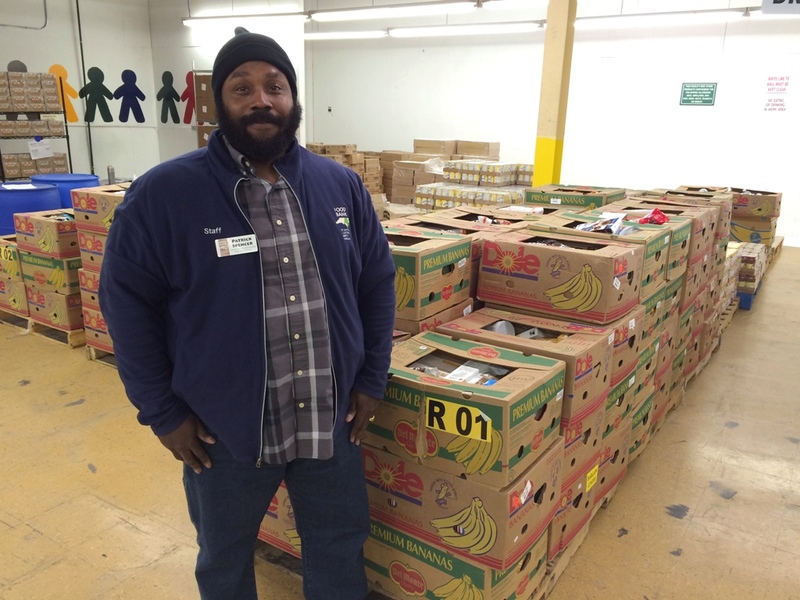 Patrick has worked at the Food Bank for eight years. He is a true asset to the Food Bank team and the Durham community, and we appreciate his positive attitude, innovative ideas, and dedication to service. Thank you for working hard every day to help Bull City families, Patrick! This article is part of a series of posts highlighting Food Bank staff and their connection to our mission. To learn more about or donate to our Durham branch, please visit our website durham.foodbankcenc.org.